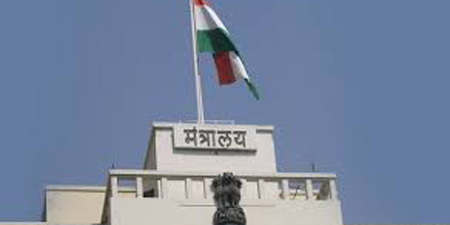 A freedom from the State Cooperative Election Authority to 100 (or less) Member CHS in Maharashtra is in the offing. Reportedly (Mumbai Mirror 14 7 2018) “the State Cabinet exempts those with fewer than 100 members from the ‘tedious’ process of approaching election authority”. The Maharashtra Cooperative Societies (Amendment) Act 2013 [Societies Amendment Act in short] inserted a new Section 73CB providing inter alia that “The superintendence, direction and control of the preparation of the electoral rolls for, and the conduct of, all elections to a society shall vest in the authority called as the State Co-operative Election Authority’” [Sub-section (1) of S 73CB]. Reportedly “Sitaram Rane, president of Maharashtra State Co-op Housing Society Federation, said the cabinet’s approval will have to be enforced via an amendment to the Maharashtra Cooperative Societies Act or an ordinance. “ This could be because of aforesaid cut in the Government’s powers of granting arbitrary exemption to cooperative societies. Proviso is appended to above Sub-Article 2 clarifying that the State Legislature may pass a law for prescribing “the procedure and guidelines for the conduct of such elections”. The procedure, guidelines and use Of the latest technology. Classification of societies on various considerations. The Society Election Rules classifies all societies in 4 categories including housing societies having membership strength below 200 in Category D prescribing election in General Body Meetings chaired by the representative of S C E A. A moot question to be answered is: Whether cabinet exemption to small housing societies when built in to the M C S Act 1960 by suitable amendment thereto vide Ordinance or by an enactment of the State Legislature, will not be held contrary to the Constitutional provision(Article 243ZK (2)]. If the answer is yes, then such enactment of the State Legislature shall stand superseded in terms of provisions of Article 243ZT of Part IX B COOPERATIVE SOCIETIES of the Constitution of India. Appeal to readers: Please try to answer the qustion I have left at the end of the Article. Does the Constitution mandate ALL ELECTIONS IN COOPERATIVES must be conducted by SCEA and no nody else?